Snowpack Description: On the skin up the snow was collapsing slightly underfoot but not whoomphing in steeper sections and while skiing the snow didn't feel as consolidated as most stuff we've been on this season. i think that is what we both felt especially in this section and why we broke it up into small ski segments. Avalanche Description: We triggered a small slide today up on Garret's which sounds like the type the CAIC has described. 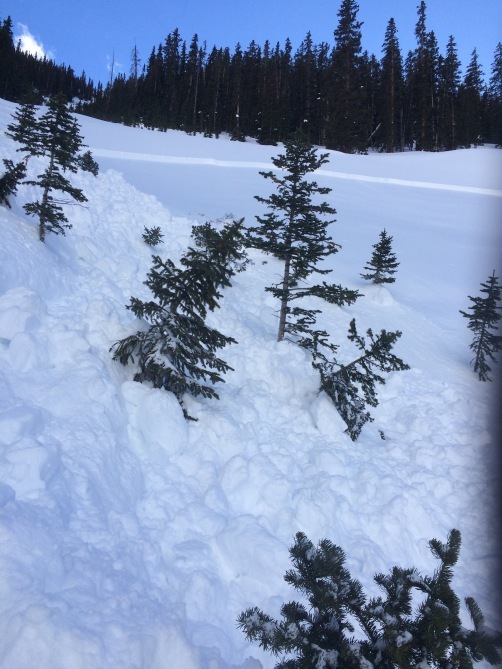 North facing slope at 10,600', long and skinny slide path with good pitch for much of it but filled with many Christmas tree anchors, a small rollover around 35° (guess) in an open pocket. Crown was maybe 30cm x 120' wide and ran into a narrow funnel below for 300'. Released with plane-like rush (not a high energy bang). Most of the run is filled with small trees except the slide zone which is open. 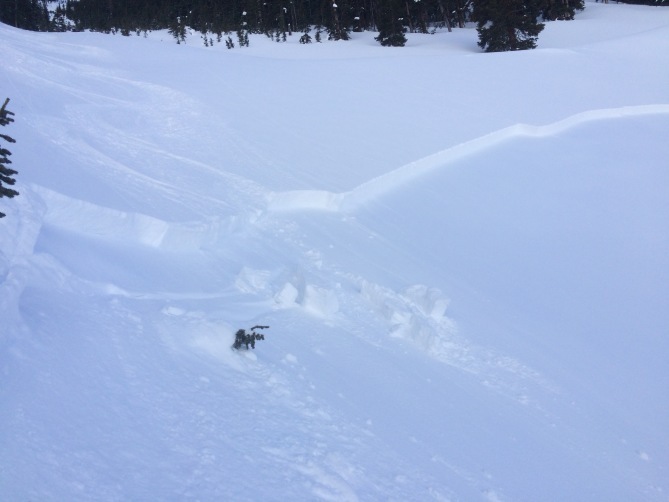 There was a shallow gully to one side of the open feature and my partner skied that while i watched from above. She got to a safe zone below and suggested I follow her path rather than over the rollover which was good advice. While skiing in her tracks the slide began 50' below me and I managed to ski off to the side just below the crown. we didn't study the slide surface or crown in depth but it was a soft slab which broke up easily and the debris was soft to ski on. we still had quite a bit of skiing below without incident. we figured it would be good to put this information out there so people know that there are traps lurking in the snowpack. Comments: See description earlier in obs.